I was pulling the curtain back on Two's favorite spot to watch the birds and this life was on the sill. No my sill isn't that messy. I took bracketed shots and processed HDR. Love the results even if I went a little overboard. Beautiful clarity on the leaf. Well done Joan. Awesome - love the textures and wonderful dof - fav. The yellow really pops. Very nice. Great shot Joan. Looks good, and the processing is nice. And a artistic one too! This is really well done, Joan! 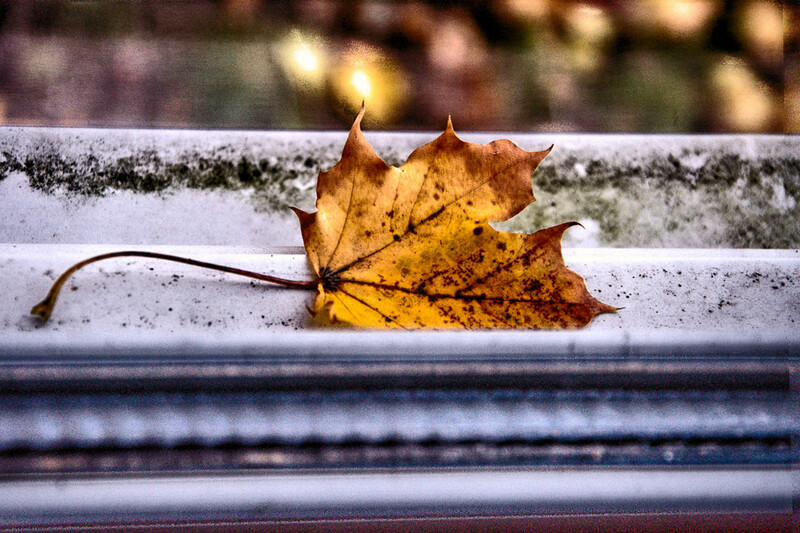 So creative -- love the way it's layered, the lone leaf, and the detailed textures. Beautiful shot Joan...wonderful comp and light.